Hawaiian ʻōhiʻa trees. Before now, the disease—Rapid ʻŌhiʻa Death—was limited to Hawaiʻi Island. But the disease-causing fungus has now been found on the island of Kauaʻi. 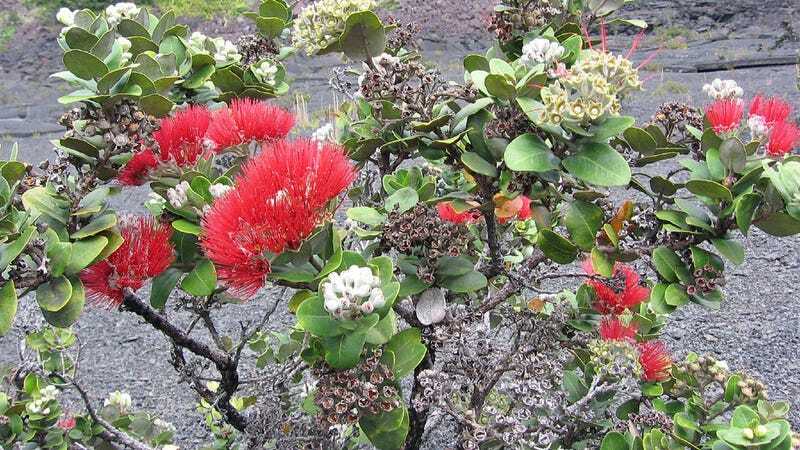 And that’s a big problem, considering that ʻōhiʻa is arguably the most important tree in the archipelago’s sensitive island ecosystems and traditional Hawaiian culture. ʻŌhiʻa (Metrosideros polymorpha) is a striking tree—gnarled, with small, plentiful leaves and a brilliantly colorful display of red to yellow blossoms that adorn the plant like firework bursts frozen in place. The tree is native to all the major Hawaiian islands (and nowhere else on Earth) where it can grow as everything from a low shrub to a towering rainforest giant.